First off, thanks again to all of you who wrote and wished Generoso a happy birthday! Last week’s all 1968 show was a tad silly but we had fun doing it and we were glad you liked it as much as you did. We are also happy to announce are very happy to say that our weekly show besides being uploaded to Mixcloud will now also be part of Rasta Radio JA, Barbara Blake Hannah’s radio station based out of Kingston, Jamaica. Every Friday from 2PM-4PM Jamaican time our show will air for the good people of Jamaica. We could not be prouder. This week’s show began with two sets of rare rare rocksteadys, starting with a tune from a little known group, The Swingers, with a track called “Show It Now” which was released on Prince Buster’s Olive Blossom Label in 1967. We followed that with another rare cut, this time from Coxsone in the same year, 1967, “Have Mercy” from The Jamaican Shadows. Two wonderful tracks that got the ball rolling. After another set of rocksteady, we started our weekly mento set with “How You Come Over,” a tune from the queen of mento, Louise Bennett from her “Jamaican Folk Songs” LP which was released back in 1954. We ended the first hour with a long set of Jamaican rhythm and blues to put you in the mood for our King Pioneer spotlight. A standout duet during that last set of the first hour featured two amazing singers who both visited The Bovine Ska in the past, Owen Gray and Laurel Aitken. They teamed up in 1962 for the Dee’s Label with the boisterous “She’s Gone To Napoli.” After that set, we started our half hour tribute to Theo Beckford’s King Pioneer Label…. Born in Trenchtown, Kingston, Theophilus (Theo) Beckford taught himself how to play piano at the Boys’ Town School, gaining inspiration from Roscoe Gordon and Fats Domino, whose records were extremely popular in 1940s and 1950s Jamaica. With Stanley Motta’s mento recording business (his side project from his photo supply shop), Beckford found a role as a session musician for the MRS label, backing up mento artists such as Lord Composer and the mighty Count Lasher. In 1956, Beckford recorded “Easy Snappin” for Coxone Dodd’s Downbeat soundsystem, during what is believed to be Coxone Dodd’s first studio session at a time in Jamaican music history where 78s were no longer popular and when American R&B was not as accessible in Jamaica. Beckford met Coxone Dodd through Ken Khouri; Beckford would sing for Khouri’s Federal Records, and Coxone Dodd decided to record at Federal Studios. While “Easy Snappin” is often considered and regarded as the first ska track in Jamaica, it contains that signature rollick of Jamaican Rhythm & Blues, so that claim is a little questionable. Regardless of where “Easy Snappin” falls in the transition from R&B and into ska, it was a huge hit for the soundsystem and eventually for Dodd’s Studio One when it was released as a record in 1959. Beckford would continue to record for Dodd and eventually all of the major soundsystem operators: King Edwards, Prince Buster, and Duke Reid. 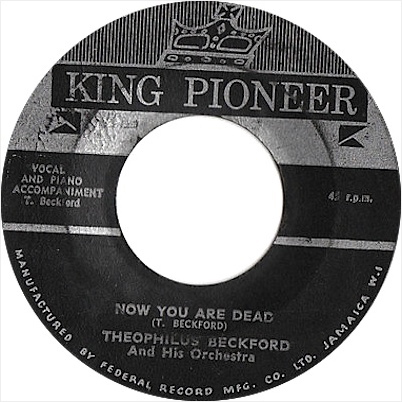 In 1963, after much experience as a session musician, Theo Beckford opened up his own label for greater independence, and that is the King Pioneer label, our label spotlight of tonight. King Pioneer was a full labor of love. Beckford created the name and the label artword, drawing the signature crown himself. Backing up the the King Pioneer records were the The Theophilus Beckford Orchestra and The King Pioneer All Stars are not 100% clear; as with many house bands, there’s a rotating cast. Some of the members were: Drumbago and Wackie Henry on drums, Lennie ‘Blues’ Gordon on bass, Lloyd ‘Ace’ Richard and Lord Jellicoe on guitar, Val Bennett and John the Baptist on alto sax, Baba Brooks and Raymond Harper on trumpet, Ronald Wilson on trombone, Lester Pegart, Stanley Notice, and Dennis Campbell on tenor sax, and of course, to round out the instrumentalists, Theo himself contributes piano and organ in addition to production. You can hear our full show from October 20th, 2015 HERE. Subscribe to our show on Mixcloud, it’s free and you’ll get an email every Tuesday when our new show goes up. This show this past week had a singular purpose, and that was to celebrate Generoso’s birthday the only way he knows how: By playing only Jamaican cuts from the year of his birth, 1968. He has been doing exactly that since the show started on WMBR, 88.1FM in Cambridge in 1996. As for 1968, that was a tumultuous year in history as it saw the assassinations of Martin Luther King Jr. and Robert Kennedy. The shooting of Andy Warhol by Valerie Solanis, the May 1968 riots in Paris but in the positive was the successful Apollo 8 mission, Shatner laying a kiss on Nichelle Nichols on Star Trek, and the end of rocksteady and the birth of reggae in Jamaica! We began Generoso’s birthday with two sets of rocksteady and reggae that feature “1968” in their title. In the sets you heard cuts like The Three Tops track for Coxsone, “Great 68′ Train.” Lord Creator’s “Come Down ’68” which he recorded for Vincent Randy Chin. 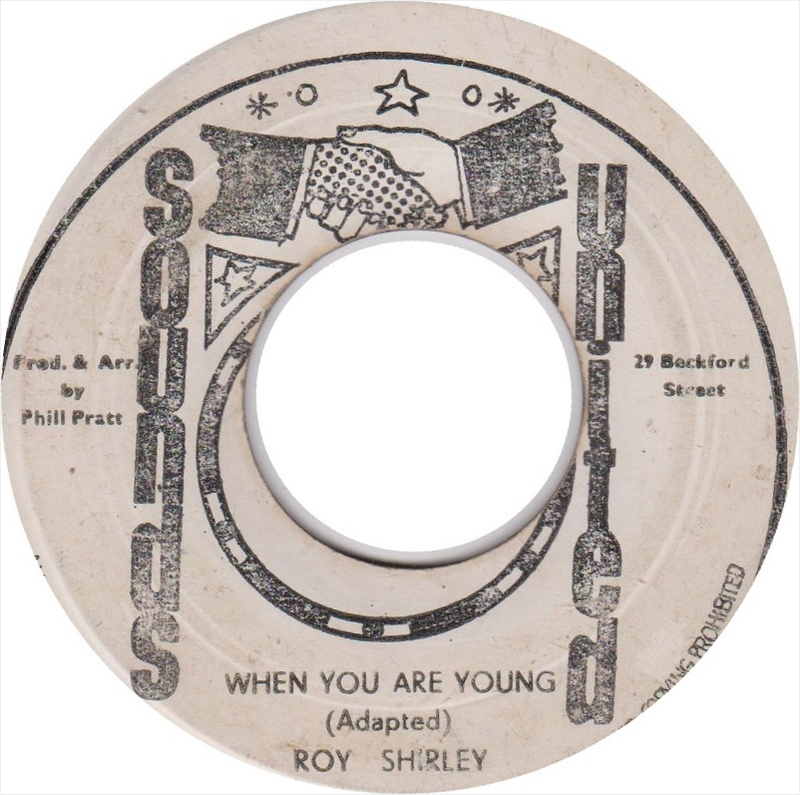 Some of the sensational 1968 rocksteady and early reggae cuts that made it onto the show are “Soul Day” from The Ethopians on Merritone, “Fun Galore” a top side from The Kingstonians on JJs and many many more. Between these songs, we played promos from 1968 television shows, we talked about the big records in the United States that year. A silly, fun, program that we hope you will enjoy! You can hear our full show from October 13th, 2015 HERE. Subscribe to our show on Mixcloud, it’s free and you’ll get an email every Tuesday when our new show goes up. This week’s program began with a massive triple version of Johnny Clarke’s 1974 tune,”None Shall Escape The Judgement.” We followed that set with another set of early reggae gems beginning with two awesome versions of The Impressions gem, “You Must Believe Me” performed by Ninety and Dennis Alcapone and the Rupie Edwards All Stars. Our mento set began with an awesome track from Roy Shurland and the Trenton Spence Quartet who gave us their take on the classic which was released on the Kalypso Label, “Matty Belly.” After two more mento cuts, we played you a set of skas which featured one of our favorites from the smooth voice of Ken Parker, “Before and After” which he recorded for Studio One in 1966. We ended the first hour with another Coxsone Dodd production, this time from Winston Stewart from 1964,”Leave Me Alone.” We started the second hour of the show with our spotlight on Prince Buster’s ISLAM label. Another Prince Buster label for the spotlight you ask? Why yes! Two months ago, we featured the earliest Buster imprint, Wild Bells and this week, we are looking at his Islam label. In 1964, Prince Buster, under the invitation and encouragement of Muhammad Ali, attended a Nation of Islam talk at Mosque 29 in Miami. Upon returning to Jamaica, he converted from his original Christian faith to the Islam faith. Upon this spiritual change, Buster created a new imprint in honor of his conversion, appropriately named Islam. We begun the spotlight on this Prince buster label with a full set of tracks from the year of the Islam label’s foundation, 1964. 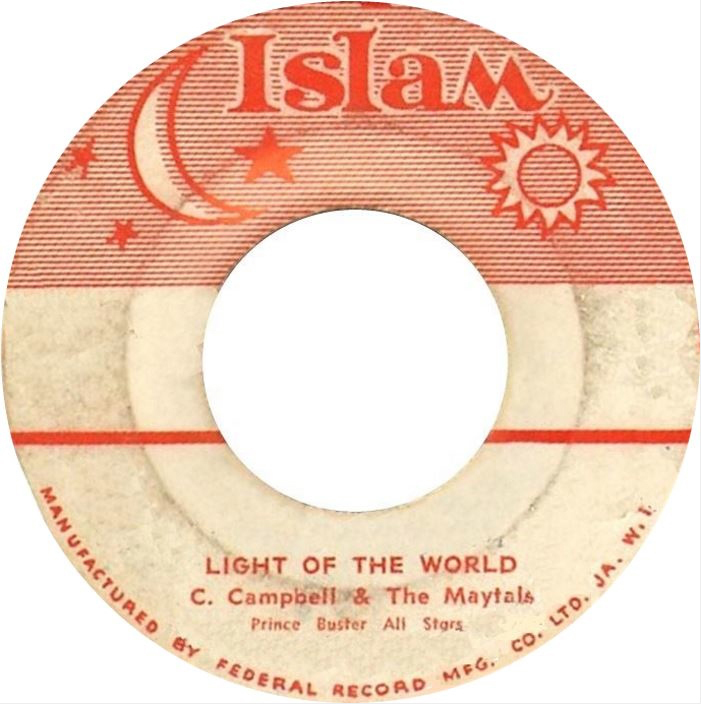 One of the reasons why we selected the Islam label was the variety of artists who recorded for the label, including Lord Inventor, who you just heard from Lord Inventor was a Guayanese singer who traveled to Jamaica to cut some sides for notable producers, including Prince Buster. We also played a track from The Watermen, who were actually The Royals and they were: Roy Cousins, Errol Green, Berthram ‘Harry’ Johnson, and Maurice ‘Professor’ Johnson. For some odd reason, the pressings of Save Mama at the time, for Islam and the English press on Blue Beat listed group under the name of The Watermen, and this would be the only single for The Royals under this pseudonym. Also played in this spotlight were The Charmers, the duo of Lloyd Tyrell and Roy Willis. 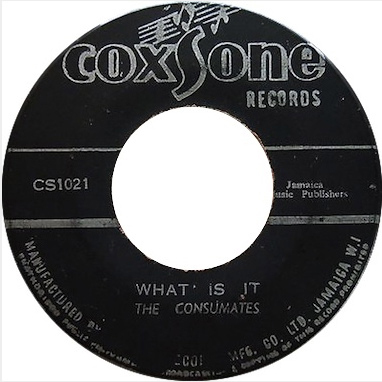 They were super prolific in 1964, recording for Coxone Dodd, Duke Reid, and that one for Prince Buster on the Islam label in its primary year. As the duo’s career continued, they would also record for Sonia Pottinger while continuing their recordings with Coxsone. You can hear our show from September 29th, 2015 HERE.